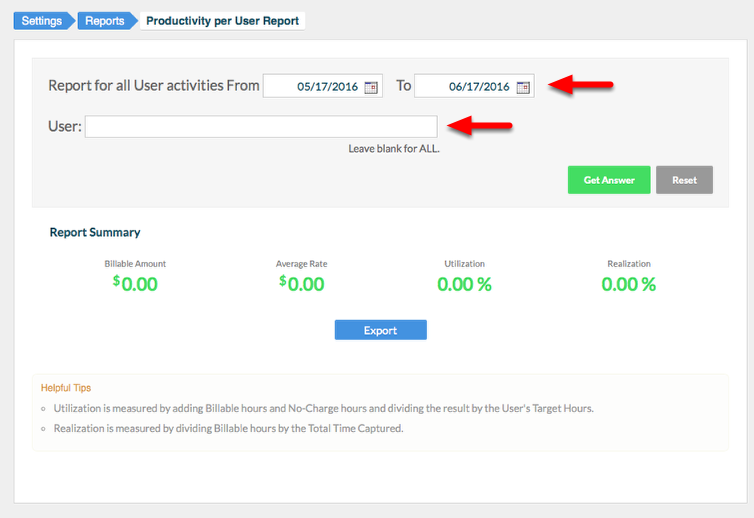 How do I use the Productivity by User Report? 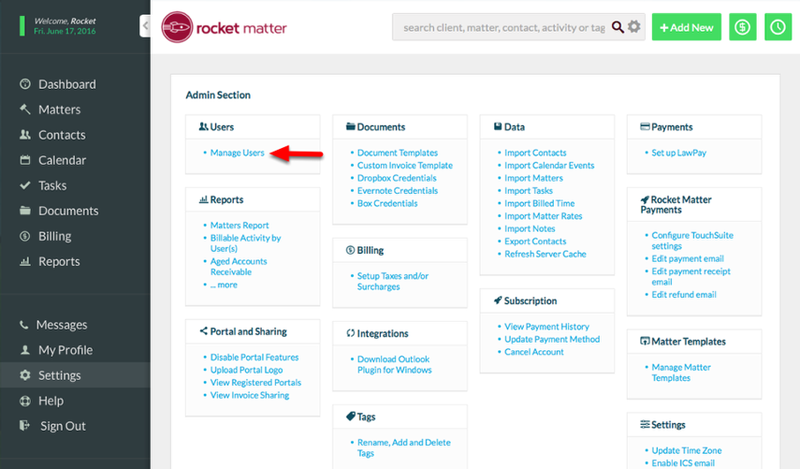 The Productivity per User Report is part of Rocket Matter's Advanced Analytics Module. 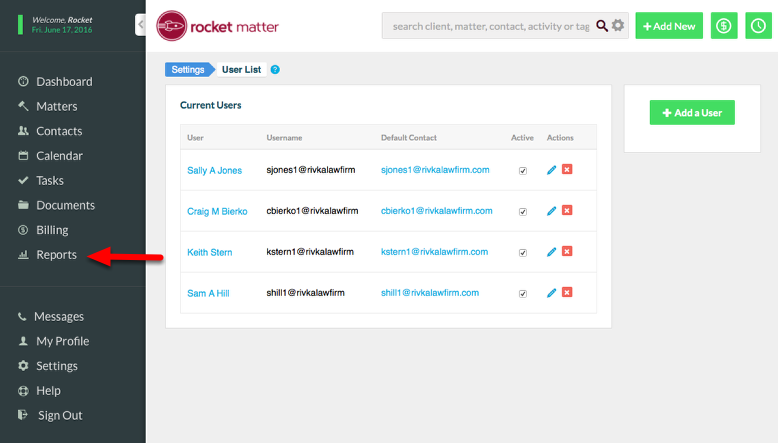 Rocket Matter's Productivity per User feature allows you to quickly assess if associates and staff are meeting their productivity goals. 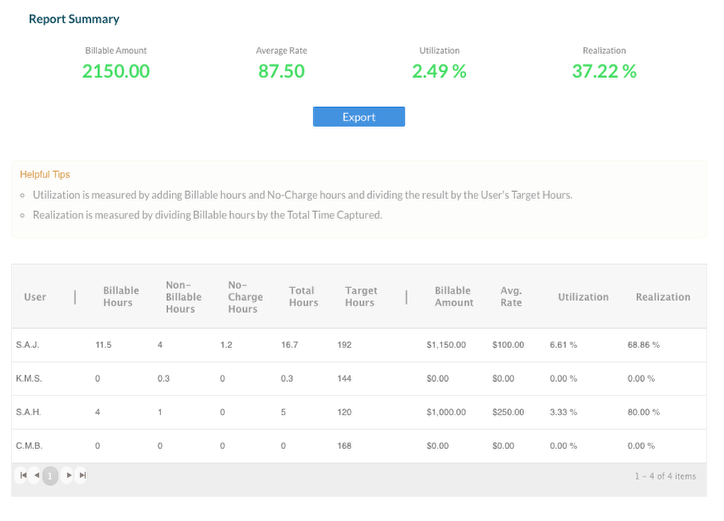 Utilization is measured by adding Billable hours and No-Charge hours and dividing the result by the User's Target Hours. Realization is measured by dividing Billable hours by the Total Time Captured. Productivity per User details include the User, Billable Hours, Non-Billable Hours, No-Charge Hours, Total Hours, Billable Amount, Average Billing Rate, Utilization, and Realizatiion. 1. 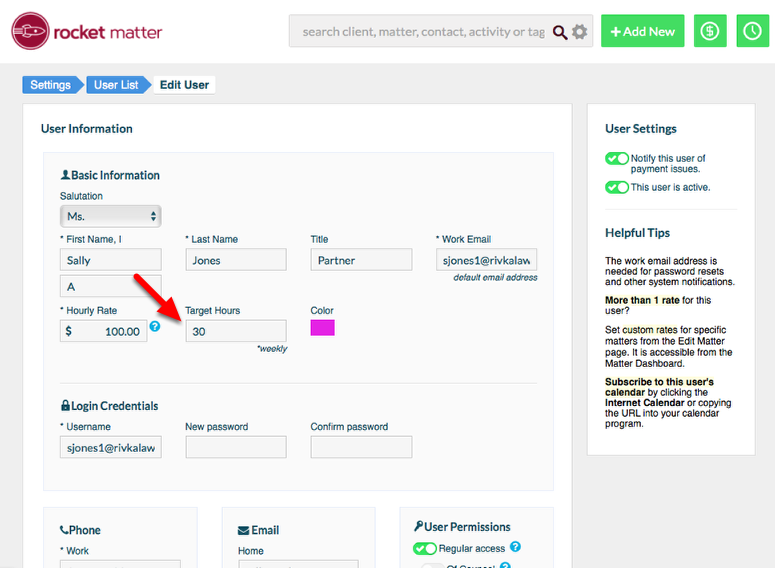 Set Target Hours for your Users. A. 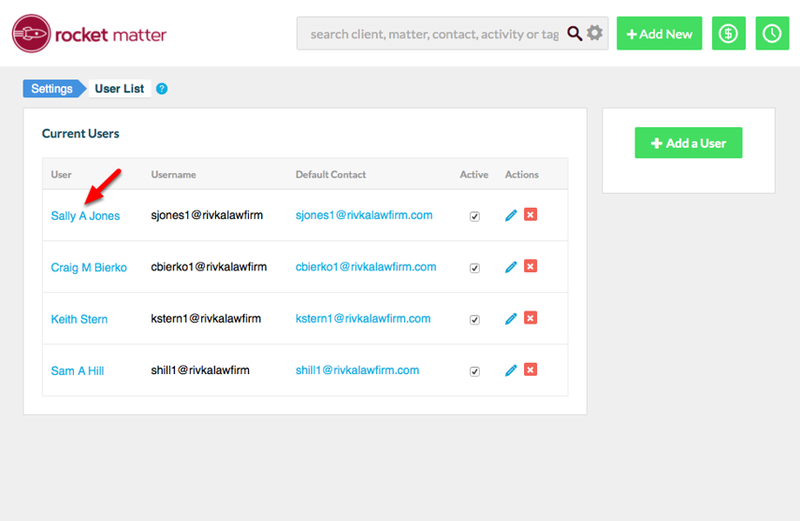 From the Settings/Admin Section, select Manage Users. Zoom: A. 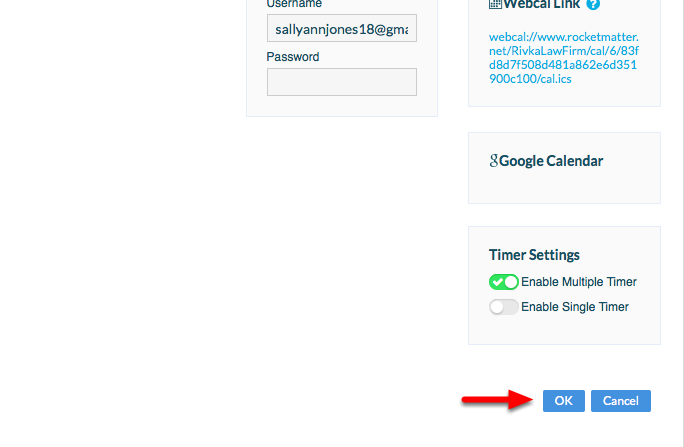 From the Settings/Admin Section, select Manage Users. Zoom: B. Select a User. C. Set the Target Hours. D. Scroll down and click "OK". 2. 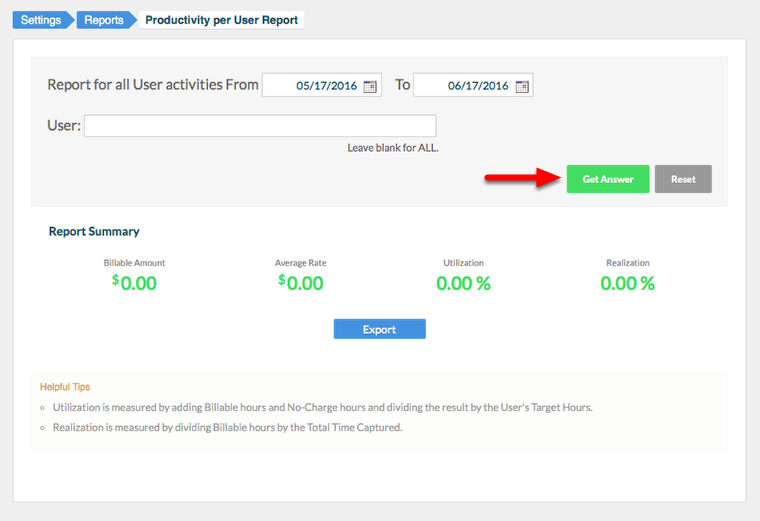 Run the Productivity per User Report. A. Select "Reports" from the Navigation Panel. 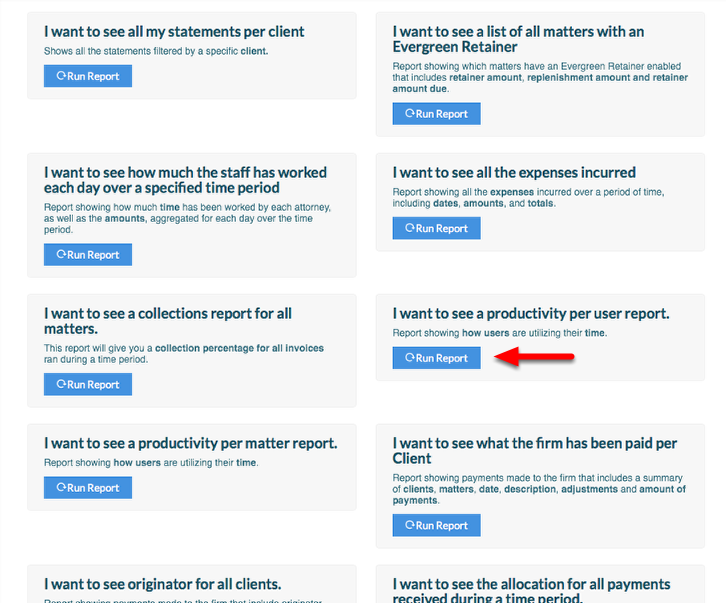 B. Scroll down to "I want to see a productivity per user report", and select "Run Report". C. Select date range, specify User, or leave blank to view all Users. D. Click "Get Answer" to run the report. E. Review data for to assess productivity. F. Report Summary give you totals for Billable Amount, Average Billing Rate, Utilization and Realization percentages. Productivity per User report results can be exported in .csv format by selecting the "Export" button.